Universities have something all companies want: future employees. Students essentially are the “products” that businesses demand so that they can stay competitive and grow. It’s the universities’ responsibility to prepare students for the workplace. Therefore, if employers and recruiters emphasize the importance of diversity in the workplace, universities should take note and prepare accordingly — whether by providing research on the topic to employers or discussing the importance of diversity on behalf of students. Most colleges and universities have career centers intended to help students find the right jobs for them, but this responsibility should fall on the university as a whole, including professors, advisors, student affairs staff, and other higher education professionals. In order for students to find employers and jobs that welcome them, it’s important for educators to first understand the “persona” of the underrepresented populations the company wants to attract, engage, and hire. The concept of understanding the candidate persona — or the composite sketch of common attributes — is the cornerstone of inbound recruiting, a method quickly becoming popular among corporate recruiters. Specifically, it’s the process of creating and distributing engaging content to influence a candidate’s decision to apply for open internships and job opportunities. This is more than just wanting diverse candidates to apply. Dr. Maya Beasley explained in her book, Opting Out: Losing the Potential of America’s Young Black Elite, that talented minorities often don’t try for promising, high-paying jobs, even when employers want (and need) them. Candidate personas can’t be based on assumption. Universities can’t simply assume they know the personas of their diverse student base. Rather, they should be conducting intensive research to validate the attributes that employers want to know. This research will also validate or disprove what employers think their diverse candidates want to hear during recruitment. The disconnection between what companies do to attract talent and what that talent actually wants can lead to candidates “opting out” of potentially great opportunities. Employers must be in the loop, too. Employers and universities should work together to understand what makes diverse employees successful within an organization. This should ideally be tied into the functional area in which the employee excels and how the team culture contributes to that success. Once employers understand the persona of those who perform well and are happy within a company, they’ll have a better idea of which content is better for attracting and nurturing other diverse candidates. Language matters. Diversity is about more than just race. It also encompasses gender, socio-economic status, sexual orientation, immigration status, etc. Many factors contribute to a candidate’s decision to join an organization, and studying the unique personas of each group allows employers to effectively influence those decisions. Aligning the candidate persona with the key employee persona helps assess relevancy, and it helps employers determine the key ingredients to include in their recruitment content strategies. A key component of inbound recruiting is its ability to close the gap between diverse populations relative to the student body as a whole. When universities participate in inbound recruiting, it allows for the right content to reach the right students to build positive associations between candidates and employers. When this happens, everyone wins. Career centers are helping students find jobs; students are working with employers who value diversity; and employers are reaping the benefits of a diverse workplace. And diversity does make a difference. Companies with diverse teams are far more likely to be more innovative. A Harvard Business Review study on diversity and innovation revealed that these companies are 45 percent more likely to see increases in market share each year and 70 percent more likely to capture new markets. When it comes to helping students, universities play a far more important role these days than simply educating them; they must also help them find the work they’re seeking. Researching candidate persona not only helps employers recruit diverse and talented individuals, it also helps students reach their fullest potential — which is every university’s ultimate goal. 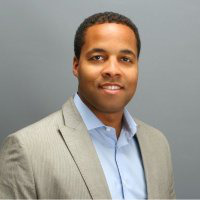 Chris Motley is the founder and CEO of Better Weekdays, an inbound recruiting platform in St. Louis that powers brand-driven campus hiring; he can be contacted at chris@betterweekdays.com.